Mother Goose Room ~ Children 12 to 24 months. Ages listed to start or move on to the next classroom are estimated, and placement is based on development, and what is best for your child first and foremost. This is a full day program. Full Day Preschool Hours are 7:15 am to 6:00 PM. Child to teacher ratio is 4 children to 1 teacher. Max in Mother Goose Class Room is 2 teachers to 8 children. We follow primary care giving guidelines. This helps each child form special bonds and assures that all needs are being met consistently each and everday. LSLC CDC has an open house policy, this means we encourage our parents to visit any time. Also all telephone calls are connected directly to Mother Goose Room.Washing hands is a big deal at LSLC CDC. It helps combat germs, and minimize the chances of your child getting sick. Everyone washes their hands when entering the classroom. Parents help their child wash their hands upon arrival, and before placing items in the refrigerator, or cubbies. Teachers assist all children with washing hands before snack, lunch, and any other time needed through out the day. Please spare some family pictures for your child’s classroom. We ask parents to apply sunscreen on their child before they bring them to school, and your child’s teacher will reapply sunscreen as needed throughout the day. Anything we apply to your child’s skin, or medications needs a doctor’s authorization. Any types of diaper cream you would like to use, sunscreen/sun block (we require SPF 30 or more). All these items require a doctor’s authorization, and form signed by the parent. Pediatricians offices fill these forms out often. One will be given to you from lslcps staff for your convenience. 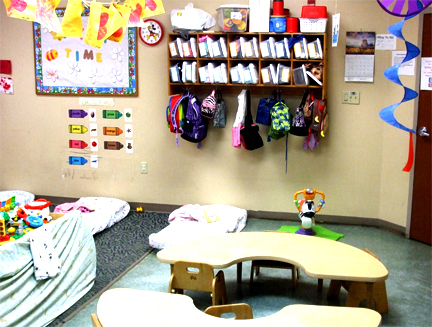 Lunchtime is between 11:30 a.m. and 12:00 p.m. Children eat in the Mother Goose Room. Parents must provide a nutritional lunch. 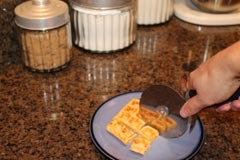 Please cut food into small pieces that could be a choking hazard, like grapes, and hot dogs. Please do not pack food that young children are likely to choke on such as peanuts, popcorn and hard candy. We provide milk and snacks for all children at snack time. Common snacks we have are fruit, yogurt, oatmeal, cheese, bread/crackers. Seating area for snacks and lunch in Mother Goose classroom. 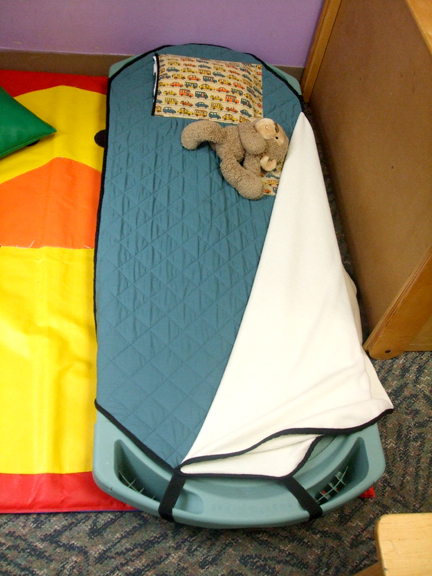 This picture was taken while staff was setting up for naptime. Circle Time is every day. Focusing on colors, letters, numbers, teaching other children’s names as well. The LSLC CDC goal is for children in Mother Goose classroom to get three hours of outside playtime a day. We also have art activities that include, painting, drawing with markers and crayons. Chapel with lots of singing. The children learn about God’s grace and love. Parents get a handout each week about the Bible verse they talked about in Chapel. 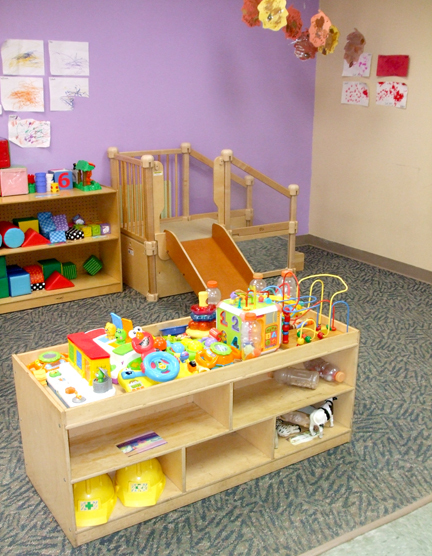 Thank you for considering Living Springs Child Development Center for your child’s care and education.